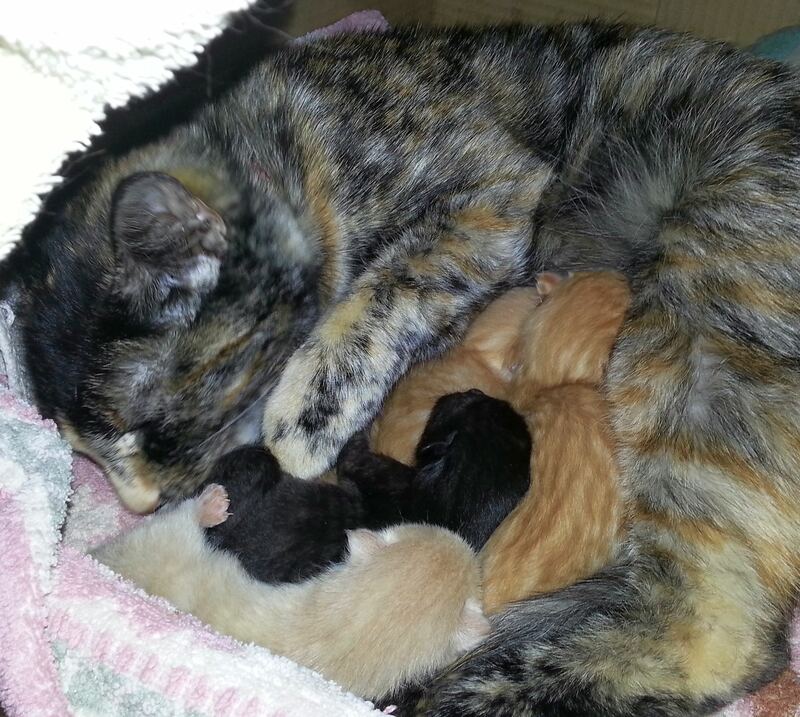 I fostered a pregnant cat several years ago and cried the entire time she delivered her 6 beautiful kittens. I told her that she would never have to go through (delivery) again and thanked her for being such a wonderful momma. 🙂 Your new grand-kittens are beautiful. 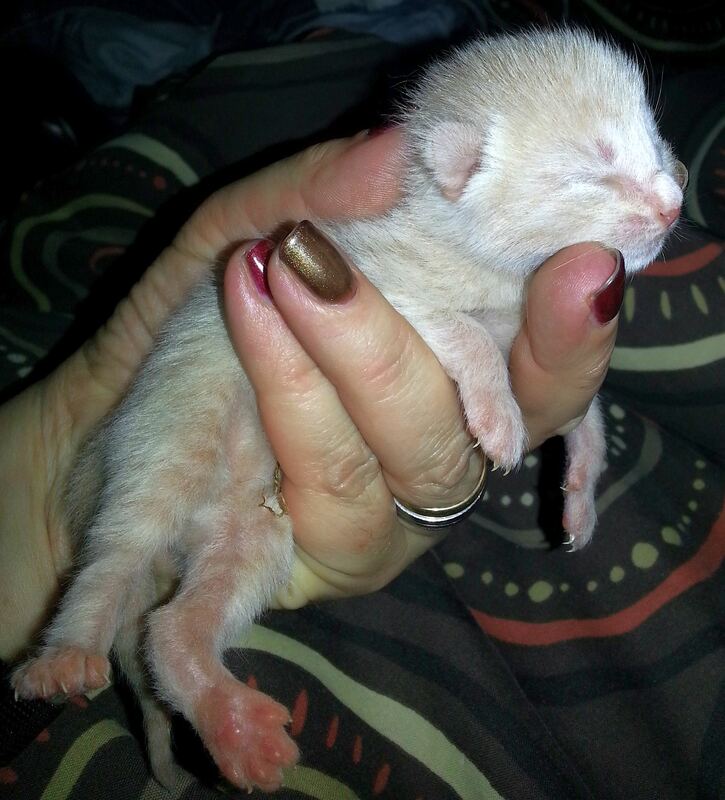 Just wait until they are all 7 weeks old….you’ll be ready to get them all spayed/neutered and adopted out! I’m a bit tardy with my congratulations nevertheless they are super adorable! You have to forgive her! The kittens are so adorable! Oh, she is most certainly forgiven. Her babies are too beautiful and she is proving to be the ultimate, perfect mother. So proud of her. Oh Pixels…. better you had a relationship with a pillow like me. But I wish you and all your cute babies all the luck of the world. I think Oprah should invite you for an interview with the cutest teen-mom ever. Thank You for the follow. Love kitties myself. Accident and embarrassed or not: they are hella cute! 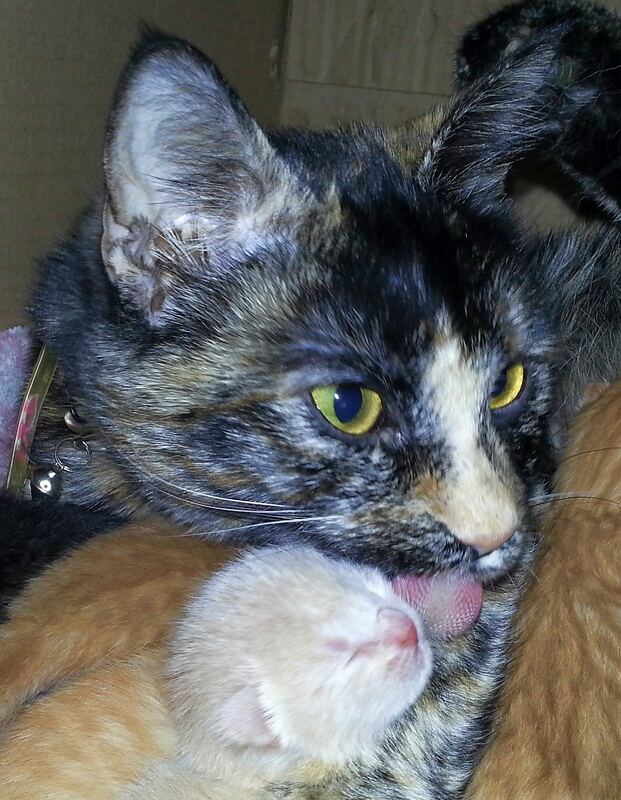 I’m sure Pixel is the best mother ever! You SO had me! I was already formulating my response in my head, that I have stressed to Daniel to use condoms because once a child is conceived, he’s responsible. But it’s about gorgeous freakin’ cats!!! 🙂 Just beautiful. Love the photos. Hope they EACH get a good home. Tee Hee – glad I caught you! 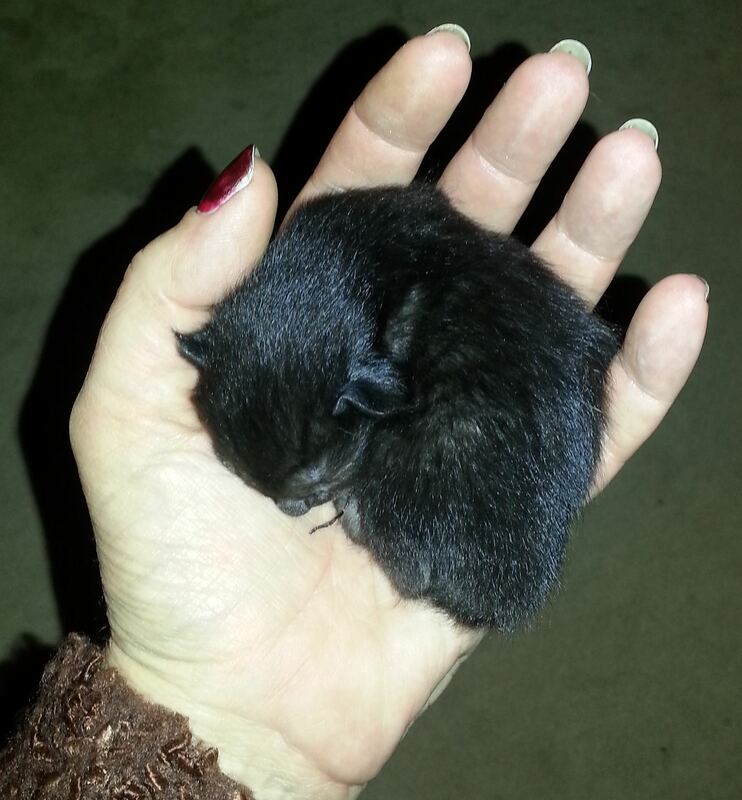 Yip, it’s little cutie pie kittens but, I am responsible for them anyway. They are sooo cute, however, that I’m sure they’ll all find fabulous homes. 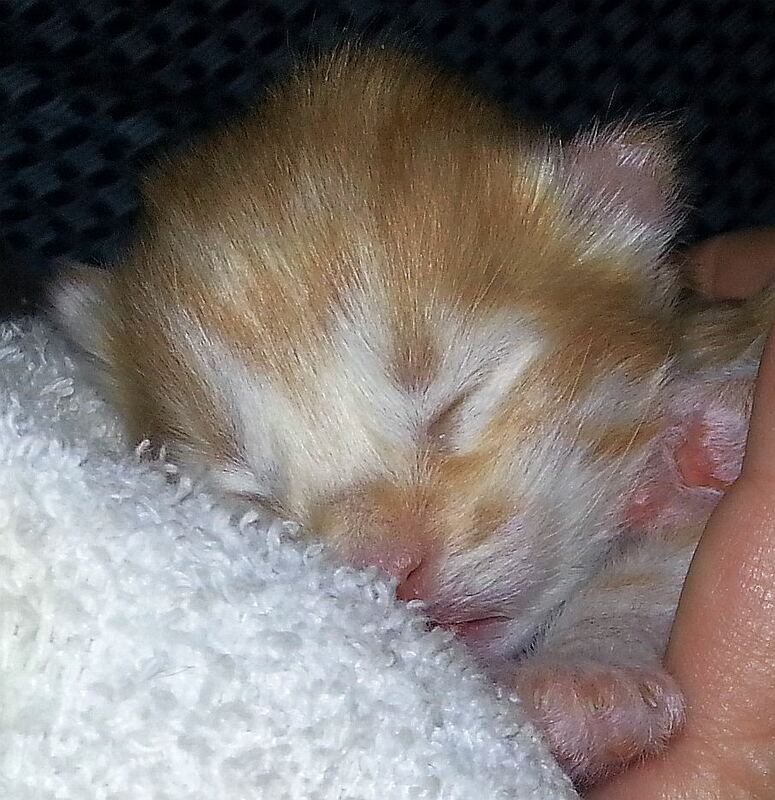 These are just such beautiful pictures – I haven’t seen kittens that young before. Thanks so much. It’s certainly a treat, to experience them at such a young age. Of course, they are now far more fun and interesting, as all the game playing and interaction happens. Such tiny treasures. Lovelies indeed – must take after mom! I’m really late in saying congratulations! They are beautiful. 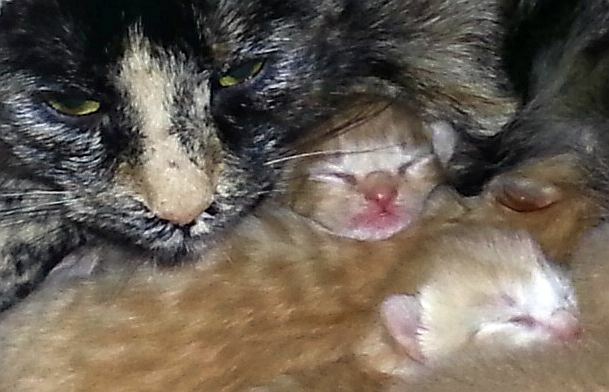 I can’t believe little Pixels is a mommy! When are you going to post more pictures? Such a lovely young mother taking to her new role so well. Lucky babes to have the good fortune to be welcomed in the world and to have their future bright (and safe) before them. Totally cute.